https://managerlabs.com/wp-content/uploads/2012/03/Puzzle-Pieces.jpg 735w" sizes="(max-width: 300px) 100vw, 300px" />There are business models in all shapes and sizes. There are retail stores, medical and legal practices, cleaning companies, general contractors, grocery stores, etc. So when you think about a business, how many business models do you know of where the business owner outsources the entire business to another party? For instance, if you visit your local grocery store, is it managed by a grocery management company? How about a retail store management company? So what makes the residential real estate investment business any different? Why are there so many property management companies and outsourced service providers to the property industry? According to a colleague of mine, the answer is quite simple, “It is not easy, there is so much at stake, and there are many moving parts.” Also, when you think about properties as investments, there are often multiple partners and joint venture groups who own the assets. In those cases, the managing partner realizes they do not have enough time or expertise to do all of the functions required of them to maximize the value of the asset. That is what outsourcing offers. As a property manager outsourced by these partnerships, the responsibility of managing that asset is crucial in so many ways. First of all you have been selected by the partner on the management of the asset. All of the actions you take as the manager or management company directly reflect onto the reputation of that partner or company that made the decision to hire you. 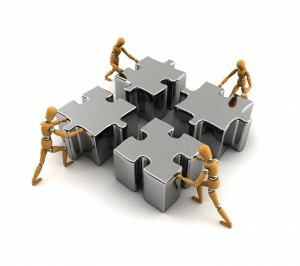 Next you have the individual people that make up the partnership. In each case, the goal of the investment with each partner is diverse. Whether there is one partner or 100, each one has their own individual investment objective. For instance, one partner may be investing because they have young children and the investment is intended to be a college fund. Another partner may be saving for their retirement. The point is that in managing the property there are many significant outcomes to decisions and actions of the property manager. Remember, the actions you take need to be considered as part of a global picture. Each action impacts the value of the property. Now enter the customers. The actions of the property customers (aka tenants) also play a pivotal role in the value of the asset as well. For instance, if a tenant does not pay rent, the cash flow of the property is impacted. This is a business and the business must be financially healthy to exist. There are services and debts that the business is obligated to support as well. So if the rent is not collected in a timely fashion, there may be consequences to the service providers looking to be paid. The service providers are outsourced too. Those service providers need to be respected and considered as they are a vital resource to the property ecosystem and the operations. The entire ecosystem of the property needs to flow in a healthy and respectful manner. If there are members of the ecosystem that do not respect the life cycle of the asset, there is imbalance. An imbalance is what causes tremendous pressure on the other members of the ecosystem. For instance, if a tenant does not pay, there is not enough cash flow to pay the electric bill. If the electric bill is late, there is a penalty. When a penalty occurs, it further erodes the income. When the income becomes eroded, other service providers suffer since the invoices cannot get paid on time. It is necessary to understand how all the actions of the parties involved will affect each other. When issues arise, keep the ecosystem or big picture in mind. Each move matters and each party to the property ecosystem can make or break the healthy cycle. Hold every member of the ecosystem accountable. Follow up and follow through on everything! Make sure you have an excellent command of the property and your communication to all parties is crystal clear. As with all business habits, be fair and honest about how everyone must work together. If one party falls short of their obligation, be sure to put them on notice. Do not hesitate to follow the letter of the lease or contract or whatever you are obligated to enforce on behalf of the partners who own the property. Being a property manager is exciting and rewarding, but it does require hard work and the ability to view the business from a holistic perspective. It can be a challenge to maintain the ecosystem, but as long as you’re always looking out for your partners’ (owners, tenants, and service providers) best interests, you will feel gratified about the work being done with the property. Your owners and investors will be pleased that you are increasing their properties’ value, and your tenants will be happy about their living situation. ← Connecting CRE to Social Media – Are You on the List?